These elegant almond tartlets are one of our classic recipes from chef Adam Gray. The perfect dessert for dinner parties, these look incredibly elegant but can be made ahead for ease. 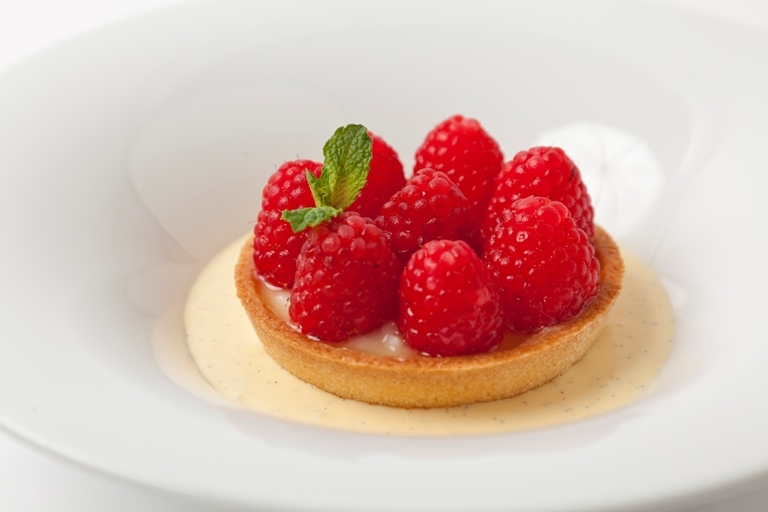 Served with a creamy custard to balance the tart raspberries.